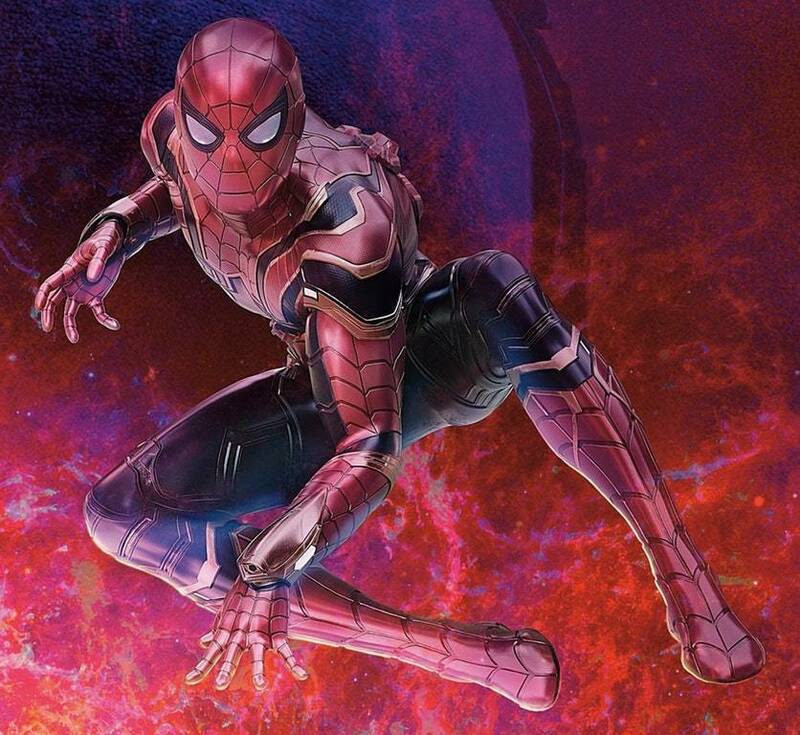 Ever since the end of Spider-Man: Homecoming saw Tony Stark unveil an upgraded suit for his buddy Peter Parker, fans have been wondering if this would be revealed to be the Iron Spider armor from the comics in Avengers: Infinity War. After several pieces of merchandise showed off the new look that Tom Holland’s wall-crawler will sport in the team-up movie, we can confirm that it indeed is. 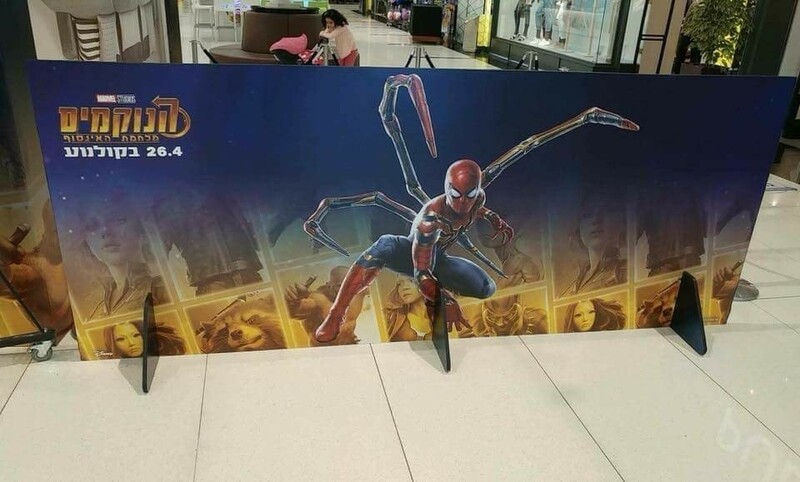 And now, a new theater standee gives us our first proper look at the Iron Spider suit in all its glory, complete with mechanical spider leg-like appendages. The suit was initially created for the comics back in 2006, after Tony made it for Peter once he’d brought the web-slinger under his wing. Spidey wore it for a while, until he defected from Iron Man’s side to Cap’s team in the Civil War conflict, whereupon he returned to his traditional look. On the page, the Iron Spider armor had a red and gold colour scheme, much like Iron Man’s suit. 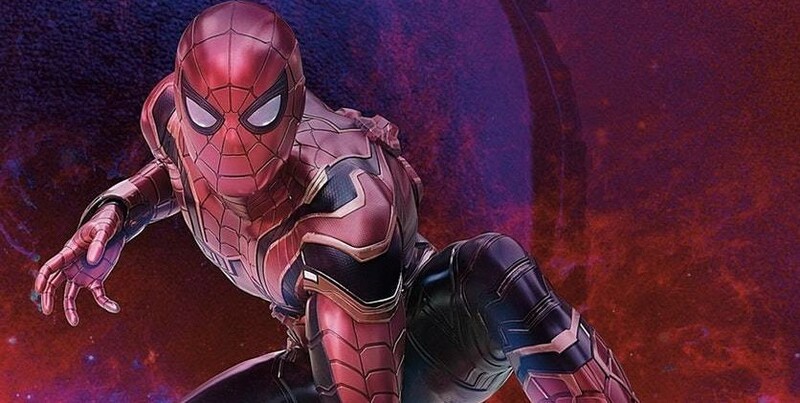 However, as you can see in the gallery below (which also includes some promo images that surfaced yesterday), the MCU version is still mostly that classic Spidey red and blue, although it does feature some black and gold detailing. In particular, the appendages are black and red, which gives them a more realistic quality. You might remember that Peter initially turned down the upgraded suit at the end of Homecoming, so that he could focus on being a “friendly neighbourhood Spider-Man.” However, when Thanos comes a-knocking, Spidey will need all the help he can get and presumably belatedly takes Tony up on the offer once he realizes the true scale of what they’re up against. Of course, Spidey isn’t the only hero getting an upgrade in Infinity War. Tony Stark himself will swap his last suit for his latest nanotech-using Model-Prime armor, Steve Rogers will get a high-tech vibranium shield from Wakanda, Bucky Barnes has got a replacement bionic arm and even Hulk will wear the Hulkbuster Iron Man armor in battle. Be sure to catch Avengers: Infinity War when it hits cinemas in just a few short weeks, on April 27th.